Download latest catalog in PDF format. 20W-50 oils are engineered to meet those applications requiring zinc. Engineered with the world's finest synthetic base oils and high performance additives. Signature series exclusive extended drain formulation delivers superior engine protection and unsurpassed fuel economy in gasoline and diesel engines. It exceeds the requirements for modern and older engines and can replace and outperform conventional and synthetic SAE 0W-30, 5W-30, and 10W-30 motor oils. AMSOIL Signature Series 0W-30 Synthetic Motor Oil contains specialized anti-wear technology. Its durable, high temperature film strength effectively separates metal surfaces to reduce wear even under the most grueling conditions. Tests prove that AMSOIL Signature Series 0W-30 provides better protection against wear than other motor oils. AMSOIL Signature Series 0W-30 helps engines last longer. 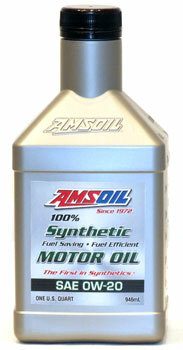 AMSOIL 100% Synthetic 0W-20 Motor Oil (ASM) delivers extraordinary lubrication for automotive gasoline engines. AMSOIL combined the industry premier synthetic technology and additives into a light viscosity formulation that withstands high temperatures and delivers outstanding fuel economy and cold temperature performance. AMSOIL ASM replaces SAE 5W-20 and is recommended for extended drain intervals according to AMSOIL service interval guidelines. It delivers long-lasting performance and protection. API SM/CF, SL, SJ. . .
ILSAC GF-4, 3. . . Ideal for cars, hot rods, motorhomes, motorcycles, gasoline engines, diesel engines, and other applications that require higher viscosity oils. Features robust antiwear and detergent additives. Premium protection synthetic motor oils outperform leading conventional and synthetic oils. 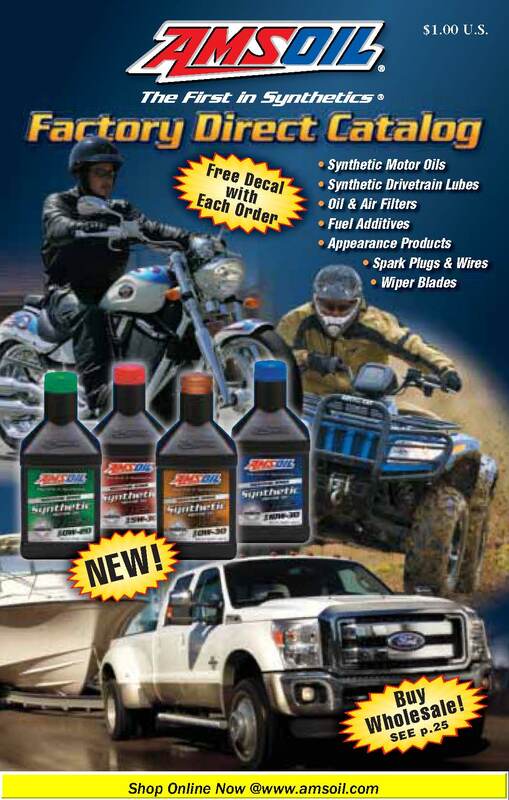 Formulated for use in both gasoline and diesel engines. Offers multi-functionality and excellent wear protection. Ideal for applications where the extra protection of a higher viscosity oil is desired. Excellent for motor homes and older vehicles, as well as most types of modern equipment. Also compatible for use in motorcycles. Available in SAE 10W-40(AMO) and SAE 20W-50(ARO). AMSOIL European Car Formula Synthetic 5W-40 Motor Oil (AFL) is specially formulated for the lubrication needs of modern European gasoline and diesel cars and light trucks. Formulated with advanced AMSOIL synthetic base stocks, premium additives and a 5W-40 viscosity rating, AMSOIL AFL is the preferred oil for virtually all European automobiles, especially turbo charged models. It is one of the only oils in North America to be recommended for the latest specifications of all three major European automakers - Volkswagen (Audi), BMW and Mercedes-Benz and the latest North American API specification. AMSOIL AFL is highly versatile for multiple applications. AMSOIL P.i. improved fuel economy by reducing port fuel injector deposits, intake valve deposits and combustion chamber deposits in 100% of the vehicles tested! Engineered for all types of offroad diesel engines, and pre 2007 on-road diesel engines. High 12 TBN controls acids from combustion blow-by and EGR. High levels of detergency and dispersancy additives control soot thickening, oxidation and wear. Provides clean engine performance. Extended drain capabilities reduce downtime and motor oil expenses. Heavy Duty Diesel and Marine Motor Oil provides up to 25,000 mile or one-year drain intervals. For 2007 and later diesel vehicles see 5W-40 Premium Diesel Oil. Exceeds both 10W-30 multi-grade and SAE 30 straight-grade viscosity requirements. Provides outstanding performance in off-road diesel engines, gasoline engines and pre-2007 on road diesel engines. Extends drain intervals. For 2007 and newer on-road diesel engines see Synthetics 5W-40 Premium Diesel Oil. The premium choice diesel oil for model year 2007 and newer heavy-duty and pickup truck diesel engines requiring API CJ-4 emission quality oil standards. Withstands the stress of heat soot, and acids to help prevent deposits, corrosion and wear. Broad viscosity range offers superior protection over a wide temperature range. Recommended for the longest service interval established by the engine, vehicle, or equipment manufacturer. Drain intervals may be extended based on oil analysis. Compatible with all exhaust treatment devices and designed to extend the service life of particulate filters. Replaces 5W-40, 10W-40, and 15W-40 viscosity oils and is "backwards compatible" with pre-2007 diesel engines. Cetane Boost additive improves combustion efficiency to increase power in diesel engines. It will raise Cetane three to seven numbers. Also improves low-temperature starting, fuel ignition quality and reliability. One bottle can treat up to 160 gallons. Total system cleaner and lubricity improver for all types of diesel engines. Improves the performance, fuel efficiency and longevity of diesel engines while reducing deposits, black smoke and emissions. Improves fuel economy by cleaning dirty injectors and restores horsepower. Designed for use in heavy-duty diesel engines. AMSOIL Diesel Concentrate (ADF) provides maximum diesel operating efficiency. It compensates for the variances in quality of different fuels (including biodiesel) and the deficiencies of today’s Ultra Low Sulfur Diesel fuel (ULSD) for better engine operation. New engine technology, tighter tolerances and emission regulations require high-quality diesel fuel for long-term engine operability. AMSOIL Diesel Concentrate meets the low sulfur mandate. It improves diesel fuel quality to exceed today’s stringent performance requirements. 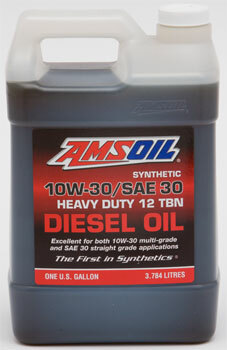 AMSOIL Diesel Concentrate extends equipment life, lowers operating costs and improves diesel performance. Compatible with all types of exhaust emission systems, including diesel particulate filters (DPF's). Can also be used with heating oil furnaces. Precise synthetic formulation exceeds the lubrication demands of modern two-cycle engines. Premium synthetic base oils and MAX-DOSE additive system provides superior performance in direct fuel injected (DFI), electronic fuel injection (EFI), and carbureted outboard motors. 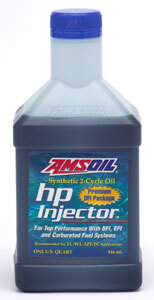 HPI Injector Synthetic 2-cycle Oil is suited for other recreational two-cycle equipment. Formulated specifically for use in 4-stroke gasoline fueled engines used in marine applications. Offers unsurpassed wear protection, viscosity stability, low volatility and excellent rust protection. NMMA FC-W approved and “Warranty Certified”. (10W-30 WCT)Recommended for use in 4-stroke outboard motors including Honda, Yamaha, Mercury, Suzuki, Johnson-Evinrude (BRP), Nissan and Tohatsu. Excellent for use in marine inboard engines including Mercury (MerCruiser), OMC, Volvo-Penta, Crusader, Marine Power, GM, Ford and Chrysler. Recommended for use with personal water craft (PWC) including Sea Doo (BRP), Honda, Yamaha and Polaris. (10W-40 WCF) Recommended for use in 4-stroke outboard motors including Honda, Yamaha, Mercury, Suzuki, Johnson-Evinrude (BRP), Nissan and Tohatsu. Excellent for use in marine inboard engines including Mercury (MerCruiser), OMC, Volvo-Penta, Crusader, Marine Power, GM, Ford and Chrysler. Recommended for use with personal water craft (PWC) including Sea Doo (BRP), Honda, Yamaha and Polaris. High 12 TBN controls acids from combustion blow-by and EGR. High levels of detergency and dispersancy additives control soot thickening, oxidation and wear. Resists bore polishing, deposit formation and ring sticking. Provides clean engine performance. Extended drain capabilities reduce downtime and motor oil expenses. Amsoil Synthetic Universal Automatic Transmission Fluid exceeds the performance requirements for both domestic and foreign automatic transmission fluids. Offers smooth shifting and long transmission life. Provides automatic transmissions, power steering units, and hydraulic equipment. Better performance over a wider temperature range and resists oxidation and thermal breakdown. Formulated with excellent wear protection to last for extended drain intervals. Specifically engineered for high demand applications, including trailer towing, heavy hauling, 4x4 offroad driving, and commercial use, and racing. Superior lube "film strength" combined with extra additives protects gears and bearings from scoring and wear. Resist high heat and possess excellent cold flow properties. Severe gear lube outperforms all conventional gear oils. Recommended for all types of vehicles. Compatible with most limited-slip differentials. Severe Gear Lube is available in SAE 75W-90 (SVG), SAE 75W-110 (SVT) and SAE 75W-140 (SVO) viscosities. AMSOIL Synthetic Manual Transmission and Transaxle Gear Lube (MTG) is a premium blend of the finest synthetic base oils and advanced, high-performance additives. It is formulated specifically for maximum protection in the most demanding manual transmission and transaxle applications where an extreme pressure GL-4 gear lube is specified, including those where high horsepower/high torque engines and towing or heavy loads increase transmission stress. It protects against rust, keeps seals soft for long life, and is compatible with brass synchros for smooth synchromesh shift quality. Ideal for NV-4500 Transmissions. MTG is a thermally stable, extreme pressure formulation that resists heat, oxidation, acid build-up and varnish. It is the ideal gear lube for high temperature applications, including the New Venture NV-4500 transmission, which retains heat due to its cast iron housing and is often subjected to heavy loads and high torque from turbo-diesel engines. 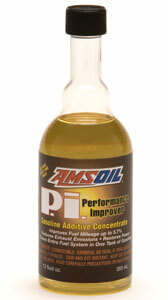 AMSOIL MTG is the replacement fluid for GM part #12346190 and Chrysler part #4874459 (Chrysler specification #MS-9070). GL-4 rated gear oil is compatible with brass synchronizers transmissions. AMSOIL Formula 4-Stroke® PowerSports Synthetic Motor Oil (AFF) is specially formulated for ATVs, UTVs, snowmobiles and other power sports applications. Its broad viscosity range and wax-free formulation make it excellent for use in both hot and cold temperature extremes. As an SAE 40 weight motor oil, AMSOIL AFF provides outstanding protection for hot operating engines, while its 0W rating and -60°F pour point ensure easy cranking, excellent cold weather starting and quick post-startup protection. Formula 4-Stroke® Power Sports is an extreme temperature lubricant that provides outstanding performance in high performance, recreational or work/utility engines. AMSOIL Synthetic 20W-50 Motorcycle Oil is a premium oil designed for those who demand the absolute best lubrication for their motorcycles. AMSOIL MCV is the result of extensive research, and it is specially formulated to excel in all areas unique to motorcycles, including high temperatures of air-cooled engines such as Harley Davidson® V-Twin, wet clutch lubrication, extreme pressure regions of gears and chains and rust common to short trips and storage. AMSOIL MCV is multi-functional and fulfills the requirements of both domestic and foreign motorcycles. It outperforms other conventional and synthetic motorcycle oils. 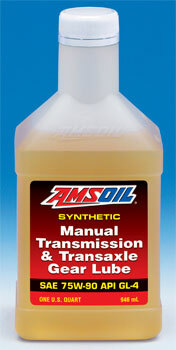 AMSOIL, the leader in synthetic lubrication, produced the world’s first API qualified synthetic motor oil in 1972. Trust the extensive experience of AMSOIL The First in Synthetics® to do the best job protecting your motorcycle. AMSOIL Formula 4-Stroke® 10W-40 Synthetic Scooter Oil is formulated specifically to meet the special needs of today’s high-tech air- and water-cooled fourstroke motorized scooters, offering unsurpassed wear protection and friction reduction for longer equipment life and cooler operating temperatures. Its exceptional shear stability ensures consistent viscosity protection and provides additional protection for transmissions and gear boxes, while its friction modifier-free formulation ensures wet clutch compatibility and smooth clutch operation. A special anti-corrosion additive package provides long-term protection during periods of inactivity and storage. A commercial grade formulation designed for hot temperature, severe service operation of small engines where routine maintenance is often difficult or infrequent. Recommended for use wherever SAE 10W-30 or SAE 30 oil is specified in gasoline or diesel engines, transmissions, hydraulics, and chain cases requiring the listed specifications. Applications include maintenance equipment, tractors, lawn and garden equipment, generators, compactors, pumps, light towers, welders, log splitters, power washers, cement mixers and trowels, skid-steers, excavators and compressors. Made with premium-grade full synthetic media. Ea Oil Filters feature advanced full synthetic nanofiber technology, making them the highest efficiency filters that are available for the auto/light truck market. AMSOIL EaO Filters are guaranteed for 25,000 miles or one year, whichever comes first, when used in conjunction with AMSOIL Synthetic Motor Oil in gasoline and diesel vehicles in normal service, 15,000 miles in severe service. AMSOIL Ea Oil Filters have the best efficiency rating in the industry. EaO Filters provide a filtering efficiency in accordance with industry standard ISO 4548-12 of 98.7 percent at 15 microns, while competitive filters containing conventional cellulose medias range from 40 to 80 percent efficiency. The Ea By-Pass Oil Filter (EaBP) provides the best possible filtration protection against wear and oil degradation. Working in conjunction with the engine’s full-flow oil filter, the AMSOIL Ea By-Pass Filter operates by filtering oil on a “partial-flow” basis. It draws approximately 10 percent of the oil pump’s capacity at any one time and traps the extremely small, wear-causing contaminants that full-flow filters can’t remove. The AMSOIL Ea By-Pass Filter typically filters all the oil in the system several times an hour, so the engine continuously receives analytically clean oil. The Absolute Best Air Filtration Available for Cars and Light Trucks. AMSOIL Ea Air Filters represent a major breakthrough in filtration technology. The revolutionary nanofiber technology used in AMSOIL Ea Filters captures more dirt, holds more dirt and allows better air flow than conventional air filters. 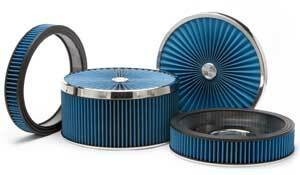 AMSOIL Ea Filters improve engine performance and help engines last longer. AMSOIL Ea Air Filters are the most efficient filters available to the car/light truck market. Ea Air Filters’ synthetic nanofiber media removes 5 times more dust than traditional cellulose filter media alone and 50 times more dust than wet gauze filter media. AMSOIL Ea Air Filters have a service life of 100,000 miles or four years, whichever comes first. Today WIX manufactures some of the best air, lube, cabin air, hydraulic, fuel, crank case breather and transmission filtration products on the market. The company is also widely known for its support of NASCAR. AMSOIL carries over 700 WIX air, oil, fuel, racing and transmission filters for automotive and light truck applications. The number one choice for racers of all types of vehicles. Special synthetic base stock blend and advanced additive package provides up to four times the wear protection of other motor oils. Reduces friction for quicker engine response and increased horsepower. Engines in race cars and high-performance street cars face high temperatures, vigorous engine speeds and heavy loads. AMSOIL Series 2000 20W-50 Synthetic Racing Oil offers unmatched protection for engines facing tough operating conditions. AMSOIL EaAR Filters are specially designed for racing and street rod enthusiasts who desire AMSOIL Ea protection in carbureted applications. AMSOIL EaAR Air Filters are constructed with the same synthetic nanofiber media as other AMSOIL Ea Air Filters. AMSOIL custom EaAR Filter assemblies are designed for racing applications. They incorporate good looks and excellent air flow in addition to the high efficiency afforded by AMSOIL Ea nanofiber technology. These custom air cleaner assemblies are designed for use with carbureted engines that use a 14-inch round element air cleaner housing. AMSOIL EaAR kits provide more air flow than competing assemblies. The kits feature the common 14-inch diameter carburetor plate, air filter and high air flow lid along with a two-inch, three-inch, four-inch, five-inch or six-inch-high filter. Replacement filters, air flow lids and carburetor plates are also sold separately. Site Copyright 2008 Hans W. Hauschild. Images and text are copyright Amsoil, or Hans W. Hauschild.